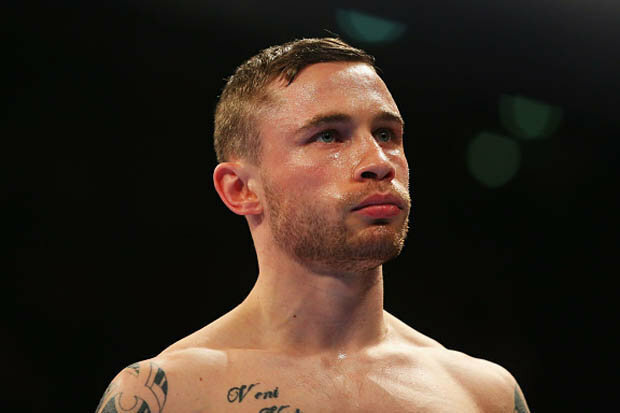 WORLD champion Carl Frampton wants Lee Selby’s belt next. Frampton turned in the fight of his life yesterday to beat Leo Santa Cruz and become the WBA featherweight king.A rematch with the previously unbeaten Mexican in Belfast is on the cards but Frampton wants Selby’s IBF title too. “Selby’s a big name, Santa Cruz is a big name, Gary Russell Jr is a big name,” said Northern Irleland’s first ever two-weight champion after his sensational points win. “Lee Selby was here and is a great fighter. He’s someone I respect very much and I’ve been singing his praises for a very, very long time. He’s one of the best UK fighters and I’ve always said that, so that fight interests me. “I just want to be involved in big, memorable fights against top-class guys. Real fighters fight — and that’s what I want to do.”Manager Barry McGuigan said: “Now he has options. That was the sort of performance no-one will forget. “The rematch with Santa Cruz would be amazing. I would love to have something at Windsor Park, Carl has always fancied playing at the home of the national football team. “But Selby in Manchester is something we could do. We can do anything after this.”Selby isn’t scared though and said: “Cardiff or Belfast, I’ll fight Frampton anywhere, it doesn’t bother me.